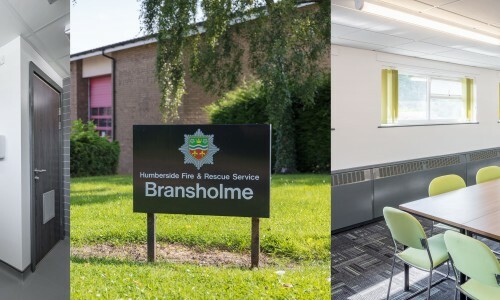 Bransholme Fire Station, Hobson & Porter’s third project for Humberside Fire and Rescue Service in the last two years, was completed this summer. 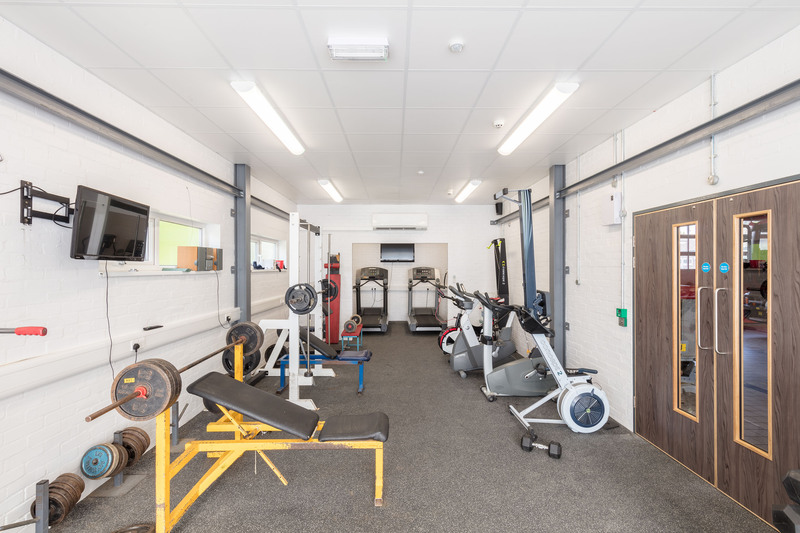 The Minor Works team began the process of upgrading the station’s internal facilities in November 2016, with a refurbishment contract including fitting a new boiler room, gymnasium, welfare pods, appliance bay, dormitories and shower facilities, and refurbishing the existing kitchen. The main challenge for the Hobson & Porter team was to keep the station running smoothly while all work was done. 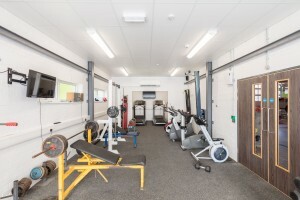 This included keeping everything immaculate throughout – a way of working which is familiar to Hobson & Porter, as one of only just over 60 companies in the UK with membership of the Considerate Constructors Scheme (CCS). 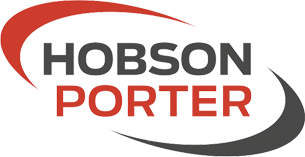 In fact, a CCS audit gave Hobson & Porter a total mark of 38/50, with 8/10 scored for ‘Appearance’ and ‘Respect the Community’. installing over 30 new doors throughout the inside of the station, rather than the 10 originally scoped. Key fobs were issued to all fire staff to enable access through all doors, enhancing security. The station was handed over on 20th July 2017.